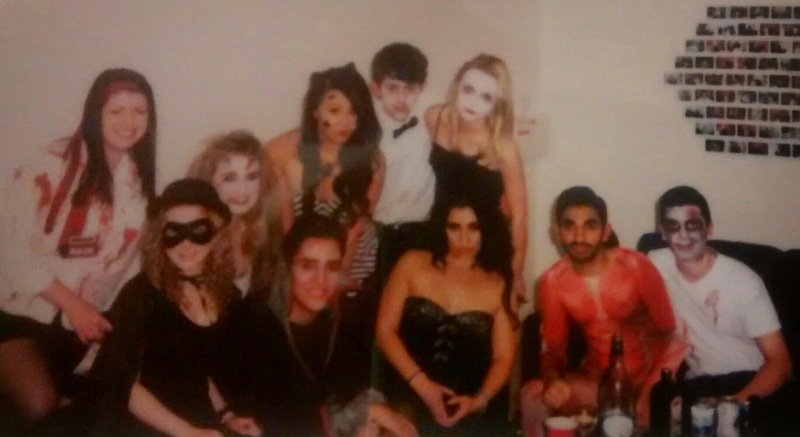 I hope everyone had a fantastic Halloween last night, I certainly did! This Gothic vampire look was inspired by The Vampire Diaries - Caroline Forbes, specifically - and it was very simple to create. 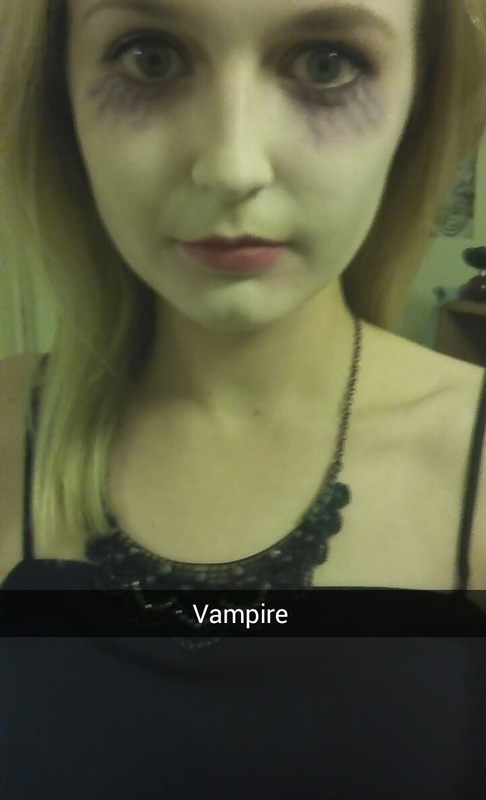 I used a water-based white face paint (higher quality than previously) and red lip liner and purple eyeliner to create the creepy under-eye Vampire veins. My favourite Halloween costumes I spotted last night were Sims-inspired characters, broken dolls and Black Swans but the night out was so packed my main focus was not to lose our group! My outfit is quite simple and although it isn't particular vampire-esque, I didn't want to buy a full costume - this is when Halloween can get expensive! A lot of my fellow student friends were very thrifty and creative with their outfits, which I think is more impressive! 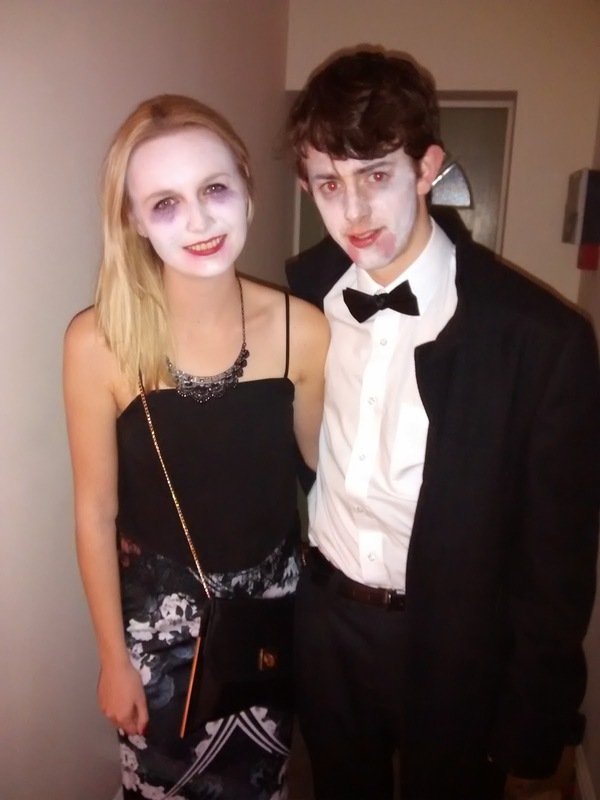 What did you get up to this Halloween and what was your costume? 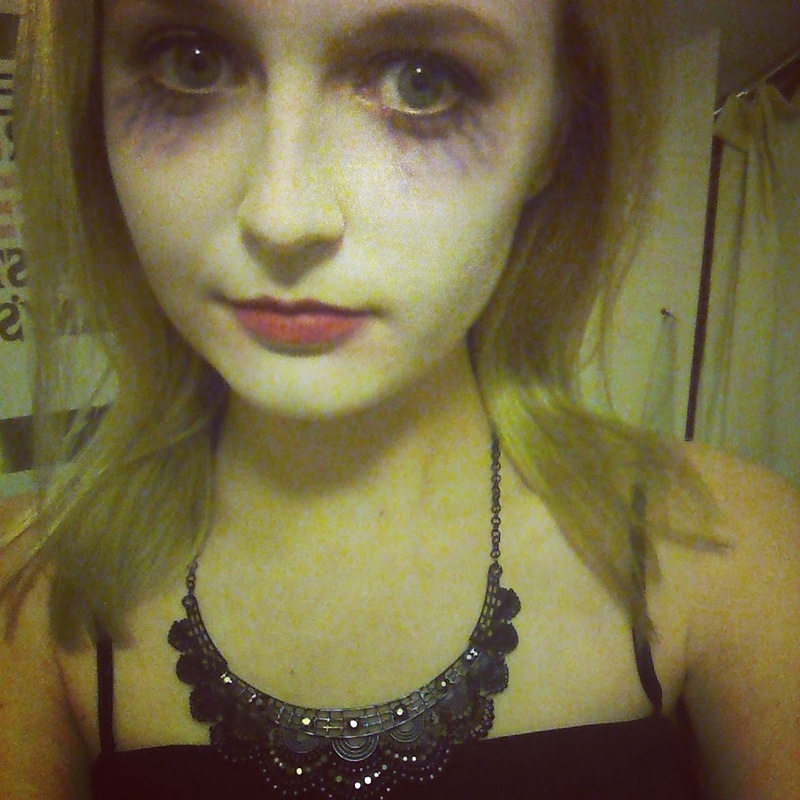 Also, check out my first Halloween look here.